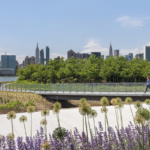 A report released earlier this week from the Center for an Urban Future (CUF) detailed the disconcerting state of New York City’s public parks system. While there’s a lot to worry about revolving around the city’s great outdoor spaces, all is not lost. 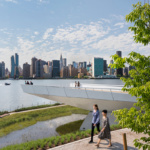 New urban oases and major rehabilitation projects have been popping up throughout the five boroughs over the last 20 years—the latest of which adds 5.5 acres of restored wetlands habitat to the Queens waterfront. 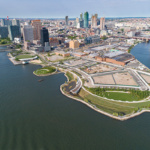 On Wednesday, the second phase of Hunter’s Point South Park opened to the public, creating 11 acres of continuous riverside parkland in Long Island City. 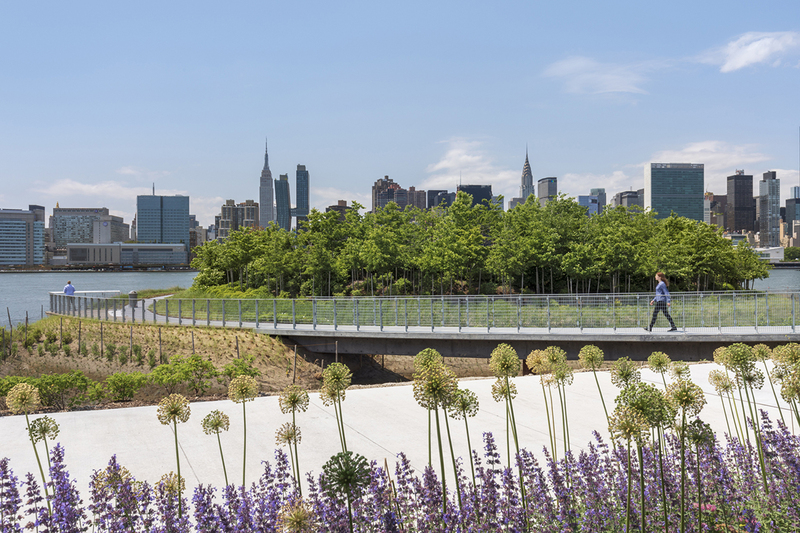 The new site brings a fresh breath of air to the formerly inaccessible, industrialized site and showcases expansive views of the East River alongside Newtown Creek. 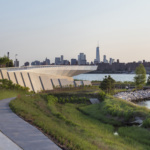 SWA/BALSLEY and WEISS/MANFREDI teamed up to design the new addition after working together on the first phase of the park, which opened in 2013. Just north of the site, Gantry Plaza State Park—opened in 1998 also designed by Thomas Balsley Associates —seamlessly connects to the new space. 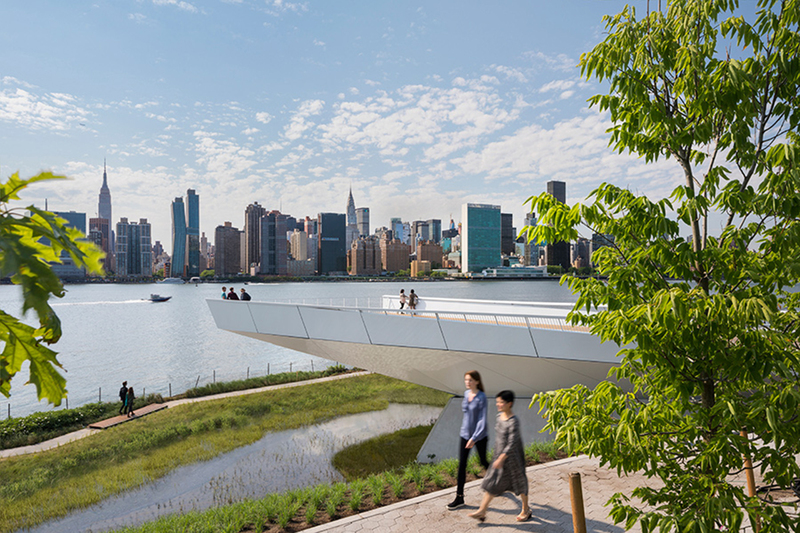 The brand-new design features the same tone and style as its sister site, but includes several new highlights: a shaded grassy cape, a new island connected via a pedestrian bridge, a kayak launch, exercise and picnic terraces, plus a 30-foot-high cantilevered platform that gives visitors panoramic views of Manhattan. 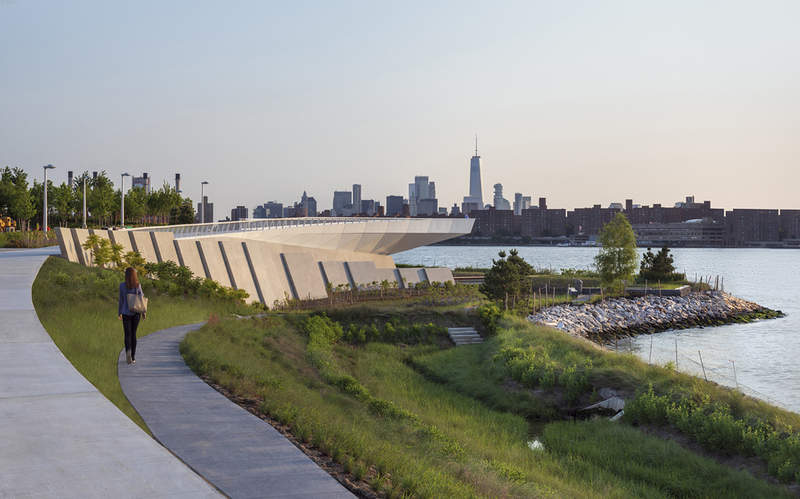 According to the architects, the park serves as a model for waterfront resilience and acts as a buffer against storm surges. 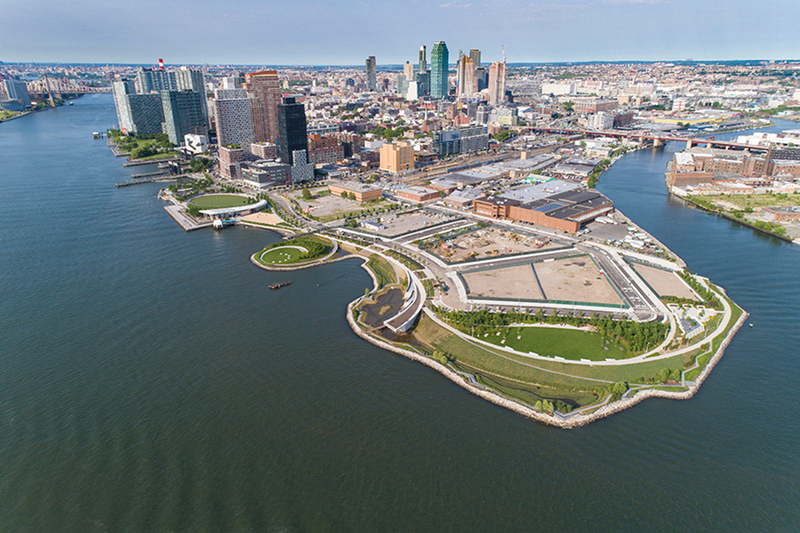 The opening of the newly expanded Hunter’s Point South Park comes on the heels of the new Domino Park in Williamsburg.